Orange is the color of happiness and what better way to bring cheer into your party than with our Orange Disposable Tableware? Make your guest list smile bright with our equally bright tableware. And you'll certainly be smiling once you realize how easy your cleanup will be after the party that lasted all night! 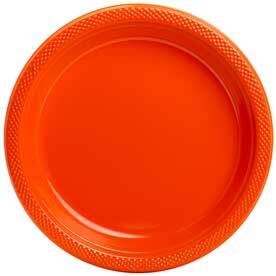 Have the happiest Halloween with our Orange Plastic Plates. From zombie brains to roasted spiders, our durable plastic can hold it all. 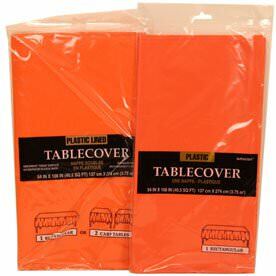 And once it's time for Thanksgiving, get extra festive with our Orange Tablecovers. 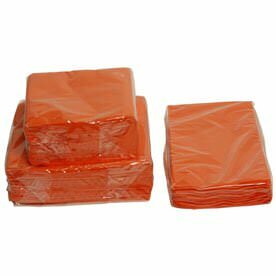 And when you want to make your summer BBQ's full of color and less of mess, our Orange Paper Napkins will come to rescue. 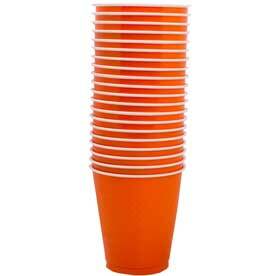 And instead of sipping on those unstable paper cups, why not choose our Orange Plastic Cups! Great for some added brightness! When you go orange, you'll not only have a bright color to make your party pop, but will also stand out from those common colored themes. So start browsing and start standing out now!